90 children were sexually abused in the Watertown area in 2018! That’s one too many! That’s why FLAME and Lake Area Tech are partnering to STOP Child Sexual Abuse. It’s simple…all you have to do is REGISTER to Play. 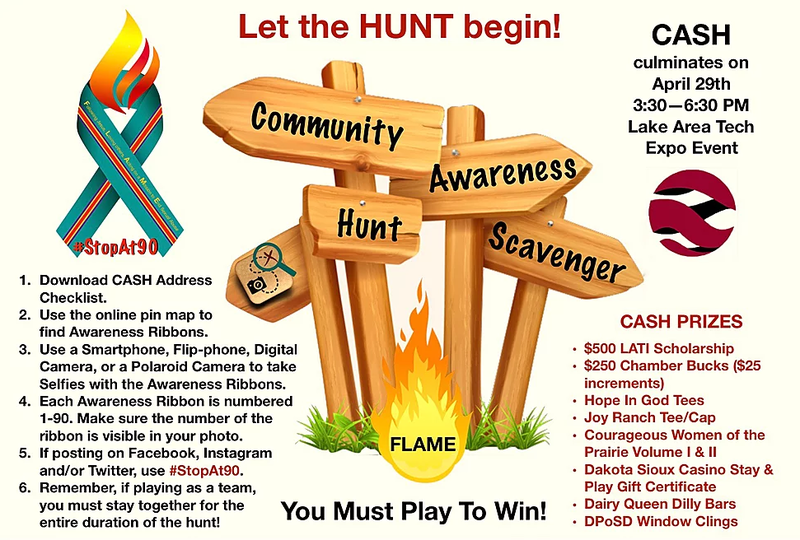 Then, go out and find & photograph 1 of 90 Community Awareness Scavenger Hunt Flyers posted in Watertown during the the Month of April-Child Sexual Abuse Prevention & Sexual Assault Awareness Month. Signup to learn about future events, and learning opportunities!